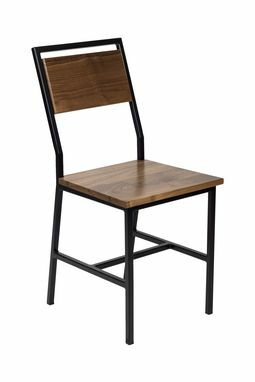 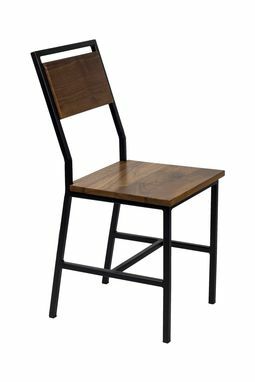 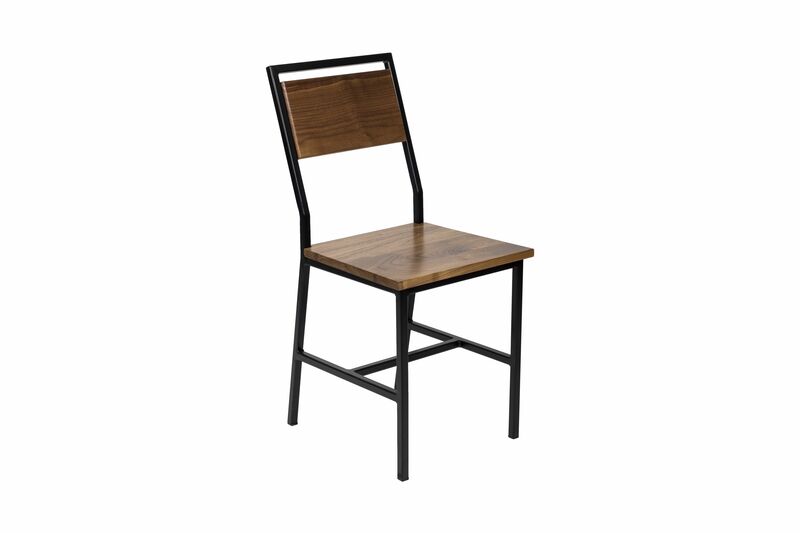 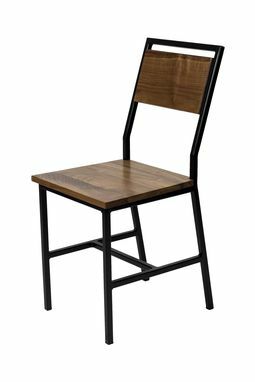 This sleek, modern designed dining chair is made from 3/4" steel welded base that features a solid hardwood back and seat. 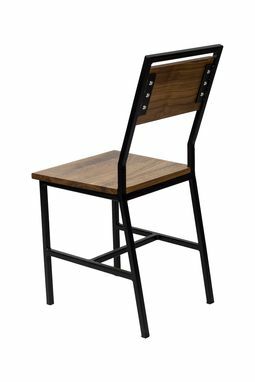 This chair is meticulously crafted by hand in our Austin studio from start to finish. 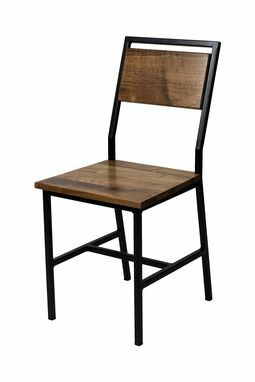 Available to order in a variety of hardwoods and steel finish options, this is one chair that will last you a lifetime.